The list of services presented on this page represent the most common services we perform. However, if you require a service not listed below, please call our office on (07) 3392 3655 and we will be more than happy to discuss your specific needs! You may think that your engine has a diagnostic check done when it is serviced. This is not the case unless you specifically ask for one, or the engine warning light happens to be on at the same time. All cars should have an engine diagnostic check annually, as this can help the car run at its best and help prevent the engine warning light coming on in the first place. Prevention is cheaper than cure! Our technicians are specialists in the diagnostics of all makes of vehicles, both imported and local. We will look at any manufacturer to complete any diagnostic or tuning work required. We do a Diagnostic Health check with every major & minor service – excluding budget service specials! So your engine’s Head gasket has blown, The car is producing a horrible knocking noise from the engine! The engine has seized! The big ends have gone! So what to do – New car, an engine fix, a reconditioned or re-manufactured engine or repairs to the cylinder block, pistons, cylinder head? Don’t worry, we can rebuild engines and fix engines on all types of vehicles! Formula Automotive Services can also do re-bore and skim engine blocks as well a offer a crankshaft regrind service. We offer all the other auto services that you would expect a professional company using state of the art engine manufacturing equipment would offer. 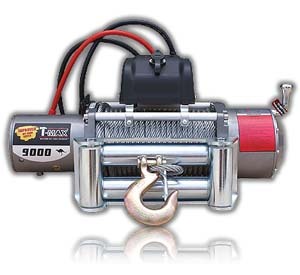 The transmission or gearbox system is usually ignored until there is a major problem. Many people who notice their car is not running properly ignore the problem with the hope that the symptoms with work themselves out. This could result in more extensive damage to your vehicle as the problem becomes more severe. And transmissions fail not only for mechanical or hydraulic reasons, but now electronic failures have been added to the list. A transmission technician must now be a complete power train shop because of the interaction of the engine controls and the transmission operation. Formula Automotive offers a complete range of transmission services, ranging from transmission repair to transmission replacement. If your car’s transmission needs repairs or replacement, you’ve come to the right place. So not matter if you are in Woolloongabba, Greenslopes, Dutton Park, East Brisbane, Norman Park, Coorparoo, Annerley, Fairfield, Kangaroo Point or Highgate Hill we have the right gearbox or transmission formula for you. There are different types of drivelines depending on whether your vehicle has rear wheel drive, front wheel drive , four-wheel drive, or all-wheel drive. On a rear wheel, four wheel or all-wheel drive vehicle you will have a drive shaft. 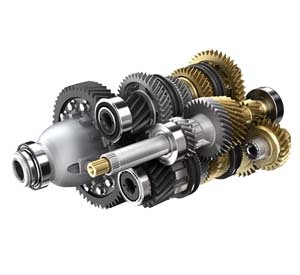 The drive shaft connects to the transmission/transfer case and differential through a series of universal joints. Most universal joints are sealed and don’t require periodic lubrication. However, it’s extremely important to have them inspected. On a front wheel drive vehicle you will have two drive axles, and these drive axles turn your wheels. The drive axle connects to the transaxle and wheel hub assembly through two constant velocity joints. The constant velocity joints are sealed with a boot and are not serviceable. If the boot tears the cv joint will loose its grease and leave the joint exposed to weather and road debris. This will eventually damage the joint. If you experience any of the following conditions, you may have a problem with your drive shaft, universal joints or CV joints! Squeaking or inefficient, soft brakes? Shuddering when you brake? Worn or damaged brakes are a potential disaster just waiting to happen. Your automobile brake repairs, brake replacement service and clutch replacements are undertaken by qualified auto mechanics and technicians who only source the best parts for the job. We always provide reliable vehicle servicing and repairs for all brake pads replacement, disc brake repairs, hand brake servicing and all clutch repairs and servicing. You can rest easy that the auto mechanics at Formula Automotive will complete a professional service for your clutch & brake repairs. Climate and normal road conditions can damage, break, or wear out exhaust components over time. The comprehensive muffler and exhaust system service performed by the experts at Forumla Automotive is an essential part of maintaining your vehicle in tip top shape. And maintaining your muffler and exhaust system not only helps to minimize engine noise, it helps protect you and others from dangerous carbon monoxide and/or carbon dioxide fumes and helps reduce pollutants released into the atmosphere. Out technicians at Formula Automotive recommends having your exhaust system checked out at least once a year. Your car’s suspension system is an intricate network of (usually) cooperating components designed to give you a smooth, even, stable ride. Since the suspension is ground zero when it comes to road abuse, the parts wear out, and even break. If your car doesn’t seem to ride like it used to, you may have a problem down below. So your vehicle’s steering and suspension is responsible for providing optimal ride comfort and handling performance. And because normal road conditions can cause the shocks, struts, and springs of your suspension system to weaken over time, these worn suspension parts may reduce vehicle stability and driver control. They may also accelerate tire wear. And because replacement of steering and suspension parts may change existing wheel angles, a wheel alignment is recommended with this service. Formula Automotive are your one-stop-shop for all your four wheel drive (4WD) services, repairs and accessories.We can install any 4wd accessories and off-road equipment that you wish to add to your vehicle. We specialize in installing off road car accessories, 4wd specific equipment, tool boxes, winches and more. Whether you need something simple like adding new 4x4 spotlights, roof racks or you want a complete overhaul of your existing 4x4, we can service your needs in our workshop. 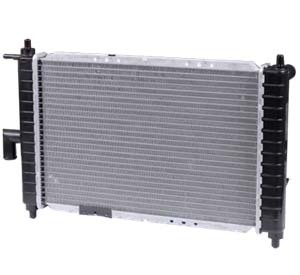 The cooling system consists of the radiator, water pump, cooling fan and various hoses and engine passages and is susceptible to coolant degradation and corrosion damage. Radiator failures and water pumps are some of the main things we see fail but also engine gaskets and hose failures also commonly occur. The potential for engine damage due to poor cooling system operation or component failures is high. Formula Automotive’s technicians look after every aspect of cooling system repairs. We have experience in replacing almost any type of vehicle’s radiator including commercial, industrial, foreign and domestic. We use only the very latest in cooling system test equipment to handle every type of radiator. Your car’s emission system keeps the engine running cleanly and efficiently in all sorts of operating conditions. If your car’s engine isn’t performing up to par or the “Check Engine” light goes on, have it inspected immediately. Failure to do so can reduce your kilometres per litre of fuel, or cause your vehicle to pollute. Your car’s emission system also controls the emissions, exhaust and pollutants using an array of sensors, computerized engine controls and the exhaust components. The emission system substantially reduces harmful gases such as carbon monoxide (CO), unburned hydrocarbons (HC) and oxides of nitrogen (NOx), and prevents harmful gasoline vapors from escaping at the fuel tank.At Formula Automotive, we have the very latest in test equipment and our auto technicians are skilled in all types of servicing & repairs of emission systems. It’s not uncommon for people to mix up or use the wrong fluids in their cars, and if they do, the results can vary from irritating to deadly. The brand of motor oil isn’t so important as its viscosity grade (10W-30, for example) is important. We use only what the owner’s manual specifies for every vehicle we work on and service. Using the wrong oil can lead to reduced lubrication and shorter engine life, so this is a critical point to consider when trusting your car to any mechanic or service tech. At Forumla Automotive, our technicians are fanatical about their oils and the correct application in all the vehicles they work on. Now, if you are like most people, then this article will come as a very big surprise to you. Non the less, worth the read to understand what is really going on…. Call Formula Automotive on: (07) 3392 3655 and speak diretly with our auto technicians to discuss your automotive requirements!